Bustling cities such as Los Angeles and Las Vegas have vast networks of sewers running underneath them. They are responsible for bringing water to every home and office in the cities, as well as taking waste water and solid waste out. If anything were to happen to these sewage systems, the cities would be prone to a massive waste buildup and cut off from their water supply. Not all of the sewer network is accessible to man. Smaller pipes the size of fingers run between the sewers and the homes and buildings. Utility companies can’t ignore these small pipes because they’re just as prone to clogging and other problems. Inspecting these pipes falls onto the little fellas: sewer cameras. They’re designed to fit into the smallest pipes, sending live video feed of what’s inside the pipes to a monitor. 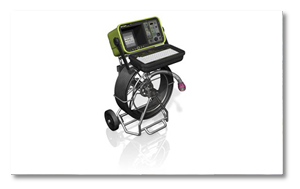 Haaker Equipment Company, also a leading brand in sewer cleaning equipment, offers the Envirosight line of sewer cameras for effective inspection and assessment of sewers, whether for maintenance or repair work. Envirosight is a quality brand that has been synonymous with sewer cameras and other inspection tools for over a decade. Their sewer nozzles and inspection systems have been in use with many businesses and utility services in many places. One of its main advantages is a wide viewing angle, allowing users to see the inside of a pipe from top to bottom. 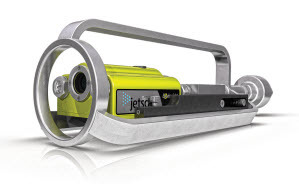 The JetScan video nozzle is the quick, easy way to see what you’re jetting. It helps you size up each job, pick the right tools, verify success, and determine if a pipe needs further attention. JetScan is affordable enough to put on every truck, yet captures valuable HD footage that can be viewed moments later on a laptop or tablet. 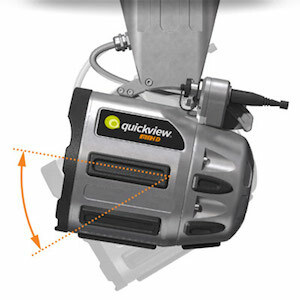 Understand sewer condition rapidly and affordably with the Quickview zoom camera. Using high-powered zoom optics, Quickview assesses sewer lines from an adjoining manhole, and also inspects manholes and tanks. The Envirosight RovverX is basically a sewer camera on wheels. Equipped with a camera, lamp, and six-wheel drive, the RovverX can go farther into the complex sewage system – as far as 1,000 or 1,650 feet of multi-conductor cable can allow. 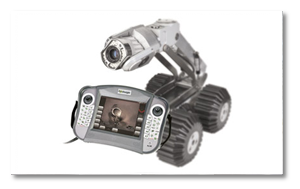 Video feed is transmitted to a screen in a handheld remote device that controls the RovverX’s movements. Don’t worry about broken cables, as these are designed with a very high break strength of 1,000 lb. SuperVision follows the RovverX’s footsteps with the same mobility and ruggedness that made the latter very popular with utility companies. 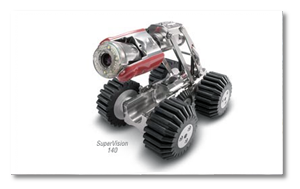 Unlike RovverX, however, SuperVision is a step up its predecessor with a host of new features such as a rear-view camera for guided reverse travel and multifunction ability. The standard cable for SuperVision is extended to 1,640 feet. The VeriSight Pro may look like your typical garden hose on a reel, but its cable lengths between 130 and 330 feet can fit in the smallest pipes in the network. This crystal-clear push camera inspection system features a powerful control unit that can display high-quality footage of the inside of a pipe, which can be saved in portable media such as SD cards and USB drives. The VeriSight Pro can also run on a lithium-ion battery for six hours in case there’s no power source nearby. To learn more about the sewer inspection equipment and other products we offer, please do not hesitate to send us a message by visiting our Contact page and filling out the corresponding form. Haaker Equipment Company proudly serves areas within California and Nevada, as well as the city of Phoenix, Arizona.